Strong indications are on ground showing that the Organisation of Petroleum Exporting Countries (OPEC) is under severe pressure over the recent threat from the United States President; Mr. Donald Trump on possible court action should OPEC members mention oil prices when discussing policy in a break from the past. Accordingly, OPEC has urged its member nations to avoid the risk of US legal action for manipulating the market as US is proposing new legislation, known as “NOPEC” which could open the group up to anti-trust lawsuits, has long lain dormant, with previous American presidents signalling that they would veto any move to make it law. 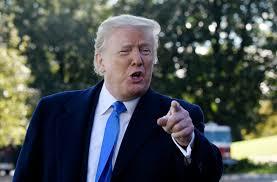 But US President, Donald Trump, has been a vocal critic of the OPEC, blaming it for high oil prices and urging it to increase output to relieve pressure on a market hovering around four-year highs. That has made OPEC and its unofficial leader, Saudi Arabia, nervous about what it might mean for the cartel. The decision to refrain from discussing a preferred oil price level — one way the group can guide market expectations — underlines how Trump’s aggressive stance on the oil market is unsettling OPEC and testing ties between allies in Riyadh and Washington.